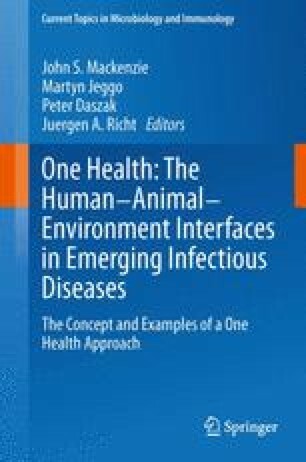 The essence of One Health is an interdisciplinary approach combined with some degree of intersectoral integration that is aimed at mitigation of human and animal health risks, taking account of environmental, ecological, social and economic factors. While a large number of international stakeholders now consider the One Health approach necessary for more effective protection of the global community against health threats, there is still no systematic allocation of resources to integrated national or multinational programmes, partly due to the inertia of existing sectoral systems and the lack of convincing economic arguments in support of the approach. We propose different degrees of sectoral integration depending on system types and associated economic efficiency gains to be expected from a One Health approach. International and regional organisations have an important role in facilitating the adoption of the approach, since the costs and the benefits are often of a regional or even a global nature, such as in the case of avian influenza.